If you've got soul food on the mind, a recent opening is need-to-know. Called Baby Blues BBQ, the fresh addition is located at 1901 W. Sunset Blvd. in Echo Park. 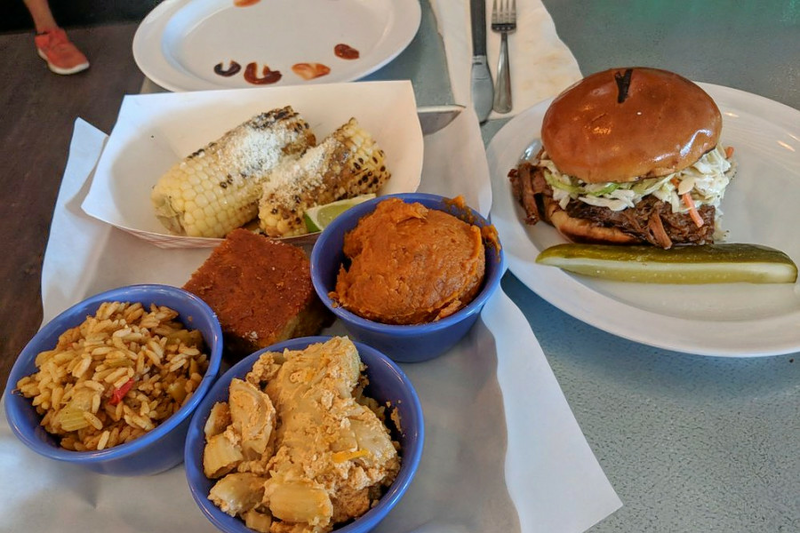 In the location formerly home to Costa Alegre, Baby Blues BBQ is now serving southern classics like brisket sandwiches, ribs, cornbread and collard greens, according to Eater LA. Diners can opt for a platter -- like The Cherokee Spike, featuring pulled pork, beef brisket and smoked beef link alongside a side of choice, cornbread and a drink -- sample one of the joint's sandwiches or order meats and sides a la carte. With a 3.5-star rating out of 63 reviews on Yelp so far, Baby Blues BBQ may still be finding its footing. Yelper Seth S., who reviewed the new spot on Nov. 8, wrote, "Simply the best barbecue around. Their mac and cheese is rich and creamy. Their brisket is soft and moist, and their cornbread is simply divine! The new location in Echo Park is amazing. Great staff, great music and incredible food." Yelper Robert J. said, "I've been looking for great, southern barbecue in LA for a long time, but unfortunately this place was a swing and a miss. The staff was great and the location very convenient, but the food (as a whole) didn't cut it." Stop in to try it for yourself. Baby Blues BBQ is open from 11:30 a.m.-10 p.m. daily.